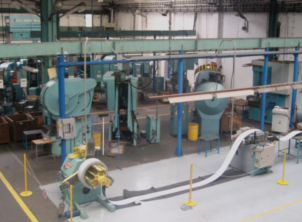 For aluminum material we offer production capacities on a fully automatic anodizing line. In the pressing area we offer processing of stainless steel and various kinds of aluminum material. We offer electrotechnical and mechanical assembly of products in the assembly lines. The beginning of the company and production in Milotice nad Bečvou is associated with Mr. Arnošt Dadák, who founded the trading company Družstvo Hospodář in 1900. 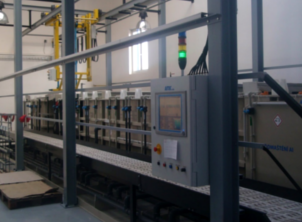 The company ran a production of agricultural tools and equipment such as hatchery eggs, hives, fruit dryers, crushers and other agricultural machines and tools. In the pre-war years, the company received a major contract from the Department of Defense to produce ammunition boxes. Subsequently, the assortment of production diversed to a production of toys. In 1948 Mr. Dadák's company was nationalized and incorporated into the national enterprise Sigma Olomouc and subsequently in 1950 to the national company Elektro-Praga Hlinsko in Bohemia. At that time, only one electric product was made in Milotice, namely chicken hatcheries. 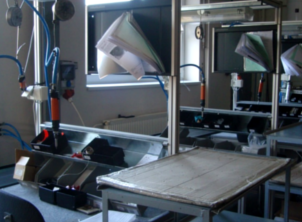 The other production was cancelled and electric appliances such as stoves, soldering irons, whips, electric pads, thermometers, immersion cookers, coffeemakers and fryers began to be produced under the brand name Elektro Praga Hlinsko, later ETA. In 2003, the company became independent and was renamed to E-TECHNIK. E-TECHNIK s.r.o. is a Czech company and an important supplier of quality products to renowned companies such as BOSCH-SIEMENS, DELONGHI, ALFI, Omega, ETA etc. The assortment of household appliances such as teapots, cookers and vacuum cleaners is complemented by the production of machining and coating of metal. E-Technik s.r.o. offers many various production capacities.